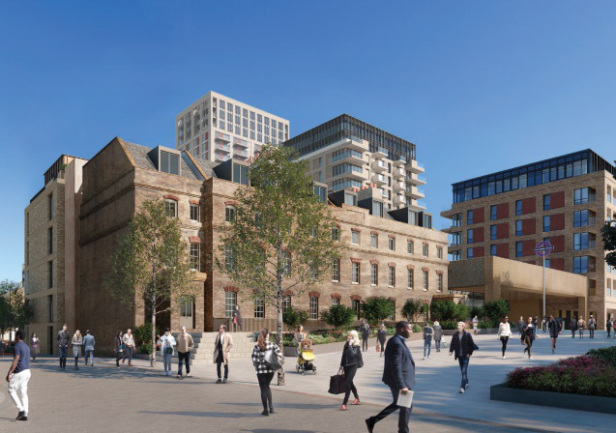 Plans for new shops and commercial spaceat Woolwich’s Royal Arsenal site will be decided tomorrow by Greenwich Council. 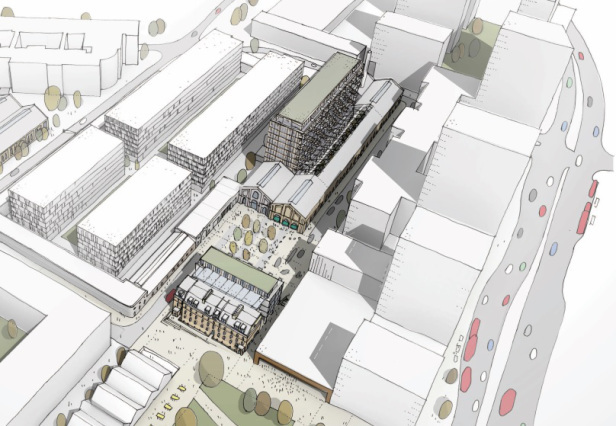 Developers are seeking permission to revise earlier plans and extend the amount of space within Building 10 located near to the forthcoming Elizabeth Line station. 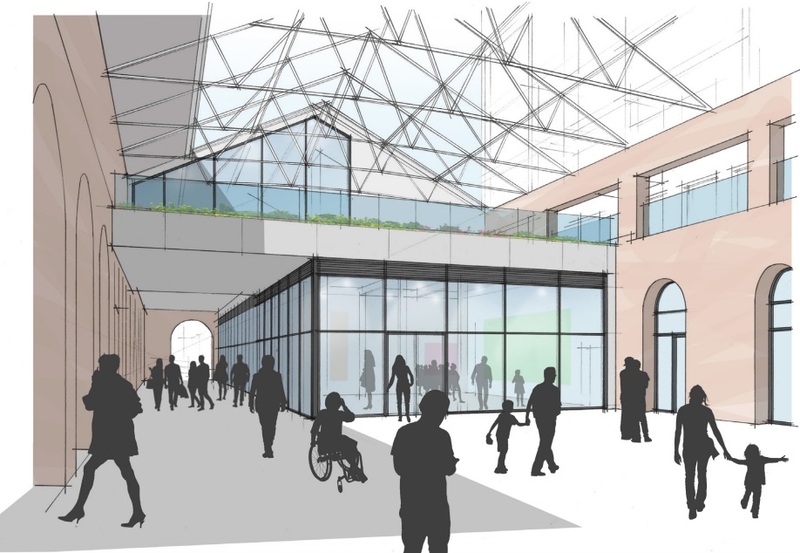 A new mezzanine level is proposed alongside opening up one end of the building and creating a colonnade. 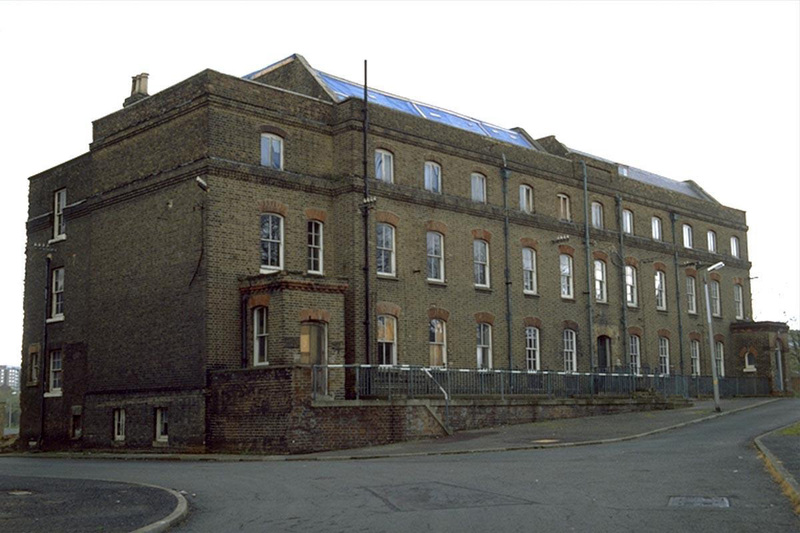 Earlier plans controversially gave permission to build housing on one side above the listed building which formerly housed a market. 121 flats are included. Those housing plans are not changed under this scheme. Some local people complained the height of the block built above greatly harmed natural light into adjoining buildings to the north. Whilst most new builds on the site have long been contained within a masterplan – this block had not. Building 11 will also provide commercial space at ground floor level and new homes above. Berkeley argued the costs of conversion was high and so required a block to be built above Building 10. All Section 106 income from Berkeley Homes to Greenwich Council from revised plans is going, where else, to GLLaB again. No improved parks, estates or much else in the more deprived parts of Woolwich once again. Click here to read the report at tomorrows meeting. how many empty units in Woolwich town centre? It’s not that it isn’t worthy (though that’s debatable with numerous accounts of bad practice) but the sheer extent of income it receives to the detriment of others. Figures show vastly more going to it than to health, education, parks, public realm and other areas. A fairer balance is needed. As seen previously it barely advertises any jobs, those it has are sometimes zero hour and it holds events in some of the least accessible places to many people (hotel by the o2). Users have filled my inbox with bad practice. All while town centres struggle, street design puts people off walking and cycling, some parks are a mess and a rising population needs better health and education. Does Will work for Greenwich Council by any chance? Just what I was wondering? What was the outcome in the end? I am sorry but money for GLLAB should not be taken away from housing projects, health, education, public realm, transport improvements and other essential services provided by the Royal Borough of Greenwich. GLLAB need to work harder to stay in their budget like other Council Departments are made to do each year.